3-21 Happy World Down Syndrome Day! Today is World Down Syndrome Day. Didn’t know that? Either did I until about 6 months ago. But now that I know it I want YOU to know it too! Obviously I am excited about WDSD. A day to celebrate people with Down syndrome? Yes! A day to learn more about Down syndrome? Absolutely! A day to look past stereotypes and see an individual? You bet! Do I wish every day was World Down Syndrome Day? Not necessarily. But I most definitely do wish that our kids and other people with Down syndrome would be celebrated on a daily basis. While I was pregnant with Eli I spent a lot of time researching Down syndrome. A lot of the literature out there is old and outdated. There are a lot of statistics discussed. I read often about what people with Down syndrome can and cannot do. What they would or wouldn’t look like. What health challenges they may or may not have. I didn’t hear about the overwhelming love I would feel when I first laid eyes on my child. Or how my heart would explode when he first smiled at me. Or the giddy pride I felt the first time he held his head up. I never heard about the happy tears I would cry when my firstborn asked to hold his little brother. Or the fierce need to protect him that overcame me during his open heart surgery. I didn’t hear any of that until I sought out a different kind of support. I turned to people just like me. Groups of moms and dads who have a child with Down syndrome or were pregnant and expecting a child with Ds. Within one of those groups, the International Down Syndrome Coalition (IDSC), I found a network of parents and self advocates (older children and adults with Ds). A group that welcomed me with open arms within minutes of my introduction. Through the IDSC I saw how my child was going to be “more alike than different” yet still an individual. I saw pictures of beautiful children doing what children do. It helped take the fear away. A person with Down syndrome is a person. Down syndrome does not define them. 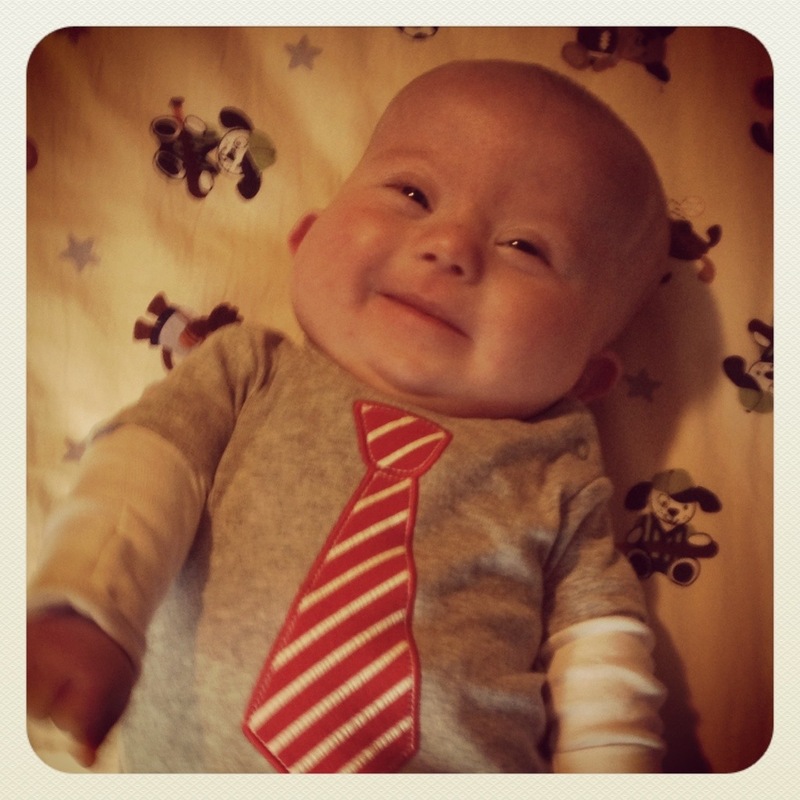 Down syndrome does not define my son. Earlier this week I posted about who I think my son is. If you didn’t see that one check it out (Who I Am). I cannot tell you who he will be. That is for him to decide. He will have choices. He can play sports. He can attend classes with his peers. He can go to college. He can leave home. He can own his own business. Eli can, and will, do amazing things. So today, World Down Syndrome Day, help me celebrate Eli and rejoice in who he is. Be proud of him. Be happy for us. Be loving to all. Be thankful for your blessings. Be patient with each other. Be kind. Be humble. Be an individual. Be YOURSELF. In honor of all the babies, children, and adults who are rocking an extra chromosome, I ask you to watch the video at the top of this post. It’s an awesome song with an awesome message featuring some awesome people. Yep, it’s pretty awesome! If you like the video and love the message (which I know you will!) please share it with your friends. Help spread the word about 3-21 and change the stereotypes of what Down syndrome is (or isn’t!). A special thanks goes to the IDSC and other groups like them that spread positivity and acceptance. Down syndrome is not a death sentence – all life is precious.